New volunteer opportunity in Miami! Israel Connect is a National Program, now available for the young professionals community in Miami. The IC program connects between high school students in Israel and Miami volunteer mentors for virtual English lessons, providing Israeli teens with the unique opportunity for a continuous English immersion experience. As a requirement for university entry in Israel, students are expected to achieve a high level both in English reading and conversational skills. Most Israeli teens have basic English knowledge, but lack conversation skills. The IC program is here to fill this void with the help of volunteers across the US & Canada. Through these weekly sessions, participating teens can perfect their English, opening doors to excel in future education and careers. Studies have shown that immersion is the best way to learn a language, and in our experience, students have made tremendous gains improving fluency, increasing their confidence, deepening comprehension, and gaining a more sophisticated and age-appropriate vocabulary! Israel Connect Miami/Yerucham is made possible by a grant from the Greater Miami Jewish Federation. Once you are approved as an IC volunteer we will pair you up with an Israeli high school student in Miami’s sister city Yerucham, Israel. You will meet weekly, for twenty minute virtual sessions, helping your mentee perfect his/her English by following a short and engaging curriculum. Considering the Miami- Israel time difference. meetings take place during Miami morning hours which is afternoon in Israel. We will pair you up based on your schedule and availability. IC offers full volunteer support, we will support you in what you need to have a successful and meaningful experience. You don’t need teaching experience, all you need is the desire to volunteer and to make yourself available weekly at the scheduled time + you will never prepare a lesson! We will email you a short interactive curriculum to follow. Your rusty Hebrew? Not an issue at all, as you will communicate in Hebrew. WHAT HAPPENS IF I AM TRAVELING AND NOT AVAILABLE ONE WEEK? For starters, you can connect via Skype from anywhere in the world! But if you will not be available- no worries! Just let us know and we will get someone to cover for you. 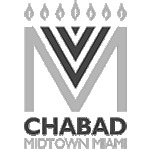 DO I NEED TO BE A CHABAD AT MIDTOWN MEMBER TO JOIN? No need! Live in Miami? Are you as young professional (22-39)? This program is for you. Join in!